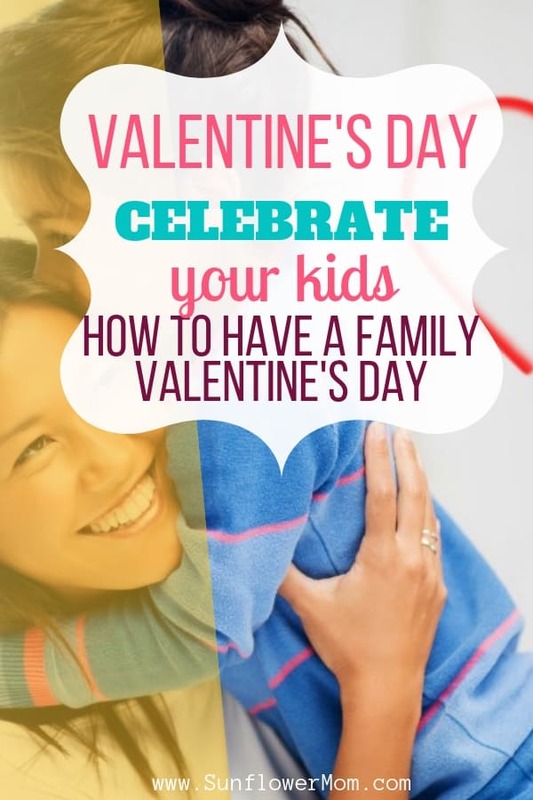 Inside: Celebrate Valentine’s Day this year by showing your children how much you love them with these family Valentine’s Day ideas. Your relationship status doesn’t matter this year – it’s all about your love for your kids. Valentine’s Day: you either love it or hate it. And your relationship status usually dictates that feeling. After years of dreading the holiday as a single parent, I decided one year to go all out for two people I love more than anything else in the world: my kids. I spent weeks planning how I could surprise them throughout the day and make them feel all my love. After that Valentine’s Day, I no longer dread Valentine’s Day as a single parent, I look forward to it, just like any other holiday. 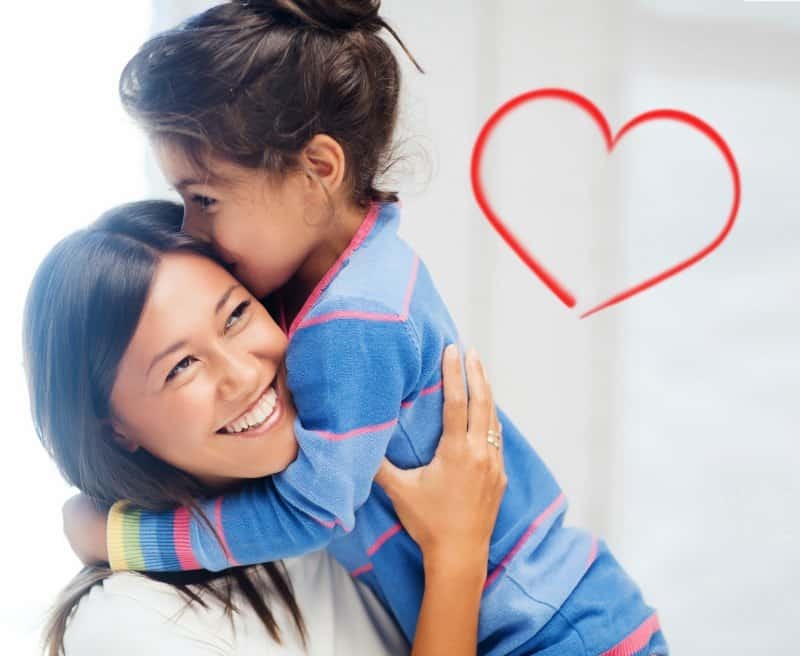 Whether you’re dreading Valentine’s Day or not, there’s no reason not to celebrate the little loves in your life with these family Valentine’s Day ideas. And as much as you may not even want Valentine’s Day to exist, it’s actually a pretty awesome day to celebrate your love for your child. Begin the day with a special breakfast. What would put a big smile on the face of your sleepy, yawning, eye-rubbing child first thing in the morning? The key is to surprise them with something out of the ordinary. I like to keep it simple early in the morning. I hate to cook and I dislike leaving the house in the morning. Cinnamon rolls are our “special breakfast”. 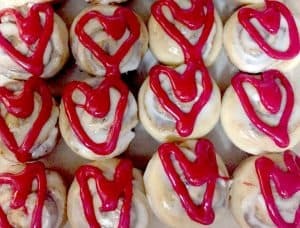 I topped off store-bought cinnamon rolls (yes, I said store-bought) with red icing hearts for a Valentine’s surprise. I placed the decorated cinnamon rolls on the counter the night before so the kids could find the surprise in the morning before I woke. Kids of all ages love scavenger hunts of all types. Send them off to see who can find the most of each item. Keep the older kids engaged by asking them to take photos of the items with their phones. The scavenger hunt will keep them busy while you treat yourself to a cup of coffee. Send your child on a treasure hunt to find a Valentine’s gift from you. You can put out the clues the night before or when they’re busy eating breakfast so they won’t see where you’re hiding the clues. Leave clues in each area listed below, leading to the hidden gift. (Hand them this clue) Your first clue is where I lay my head. –>Get a free printable of this treasure hunt from the resource library. As you can tell, I don’t use my oven. I also keep the gifts pretty simple. 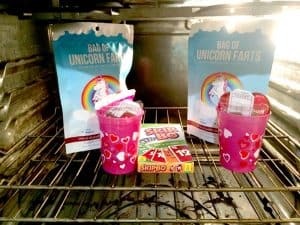 The first year I did this, they received Unicorn Farts, a favorite card game for the family, SkipBo, and a cup full of candy and Valentine’s Day Coupons, which you can get below from the resource library. Valentine’s coupons are the perfect no-cost gift. Download my printable Valentine’s coupons from my free resource library. They are all blank so you can personalize them yourself. Write your child a yearly love letter. Then hang it up in a frame in their bedroom and then each year place a new one on the front, always keeping last year’s letter behind it. After many years, your child will have multiple love letters from you to them. 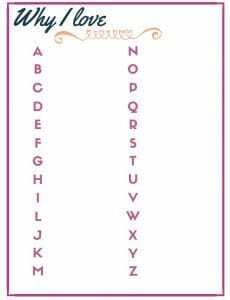 Or on nice card-stock write a word to describe your child for each letter of the alphabet. This can be very uplifting for a child that thrives on words of affirmation. My children treasured this gift so much, they made me the same gift the following year for Mother’ Day. Get the “Why I Love” alphabet template below from the resource library. Valentine’s Day is the best holiday to play Minute to Win it games. We use cheap, stackable Valentine’s candy that we buy multiple bags of and I don’t worry about throwing the candy on the floor and tossing it. Every year, we look forward to playing the same seven games during a full afternoon together. It can be tough to face a holiday like Valentine’s Day when you’re single. But if you have your kids, then you have the perfect, willing love just waiting to spend the day with you. 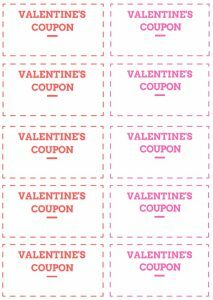 Print out your Valentine’s Day coupons, treasure hunt, and Why I Love template from the resource library and see how many of these family Valentine’s Day ideas you can incorporate into your day. No, it won’t be the same as dinner, roses, and a movie. But it may just be more amazing than you thought.